The facts, research, and science behind the climate-change article that explored our planet’s worst-case scenarios. 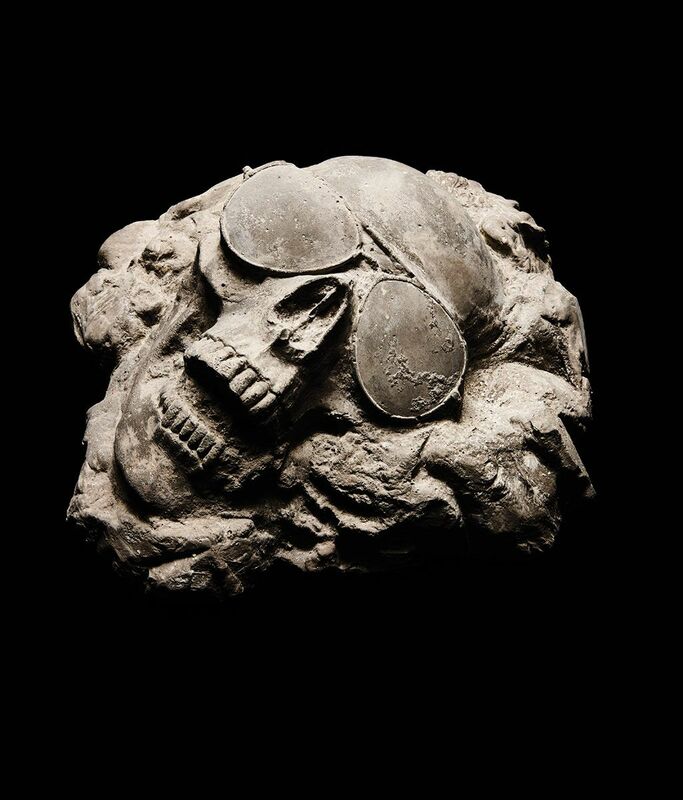 We published “The Uninhabitable Earth” on Sunday night, and the response since has been extraordinary — both in volume (it is already the most-read article in New York Magazine’s history) and in kind. Within hours, the article spawned a fleet of commentary across newspapers, magazines, blogs, and Twitter, much of which came from climate scientists and the journalists who cover them. Some of this conversation has been about the factual basis for various claims that appear in the article. To address those questions, and to give all readers more context for how the article was reported and what further reading is available, we are publishing here a version of the article filled with research annotations. They include quotations from scientists I spoke with throughout the reporting process; citations to scientific papers, articles, and books I drew from; additional research provided by my colleague Julia Mead; and context surrounding some of the more contested claims. Since the article was published, we have made four corrections and adjustments, which are noted in the annotations (as well as at the end of the original version). They are all minor, and none affects the central project of the story: to apply the best science we have today to the median and high-end “business-as-usual” warming projections produced by the U.N.’s “gold standard” Intergovernmental Panel on Climate Change. But the debate this article has kicked up is less about specific facts than the article’s overarching conceit. Is it helpful, or journalistically ethical, to explore the worst-case scenarios of climate change, however unlikely they are? How much should a writer contextualize scary possibilities with information about how probable those outcomes are, however speculative those probabilities may be? What are the risks of terrifying or depressing readers so much they disengage from the issue, and what should a journalist make of those risks? I hope, in the annotations and commentary below, I have added some context. But I also believe very firmly in the set of propositions that animated the project from the start: that the public does not appreciate the scale of climate risk; that this is in part because we have not spent enough time contemplating the scarier half of the distribution curve of possibilities, especially its brutal long tail, or the risks beyond sea-level rise; that there is journalistic and public-interest value in spreading the news from the scientific community, no matter how unnerving it may be; and that, when it comes to the challenge of climate change, public complacency is a far, far bigger problem than widespread fatalism — that many, many more people are not scared enough than are already “too scared.” In fact, I don’t even understand what “too scared” would mean. The science says climate change threatens nearly every aspect of human life on this planet, and that inaction will hasten the problems. In that context, I don’t think it’s a slur to call an article, or its writer, alarmist. I’ll accept that characterization. We should be alarmed. It is, I promise, worse than you think. If your anxiety about global warming is dominated by fears of sea-level rise, you are barely scratching the surface of what terrors are possible, even within the lifetime of a teenager today. And yet the swelling seas — and the cities they will drown — have so dominated the picture of global warming, and so overwhelmed our capacity for climate panic, that they have occluded our perception of other threats, many much closer at hand. Rising oceans are bad, in fact very bad; but fleeing the coastline will not be enough. Indeed, absent a significant adjustment to how billions of humans conduct their lives, parts of the Earth will likely become close to uninhabitable, and other parts horrifically inhospitable, as soon as the end of this century. Even when we train our eyes on climate change, we are unable to comprehend its scope. This past winter, a string of days 60 and 70 degrees warmer than normal baked the North Pole, melting the permafrost that encased Norway’s Svalbard seed vault — a global food bank nicknamed “Doomsday,” designed to ensure that our agriculture survives any catastrophe, and which appeared to have been flooded by climate change less than ten years after being built. The Doomsday vault is fine, for now: The structure has been secured and the seeds are safe. But treating the episode as a parable of impending flooding missed the more important news. Until recently, permafrost was not a major concern of climate scientists, because, as the name suggests, it was soil that stayed permanently frozen. But Arctic permafrost contains 1.8 trillion tons of carbon, more than twice as much as is currently suspended in the Earth’s atmosphere. When it thaws and is released, that carbon may evaporate as methane, which is 34 times as powerful a greenhouse-gas warming blanket as carbon dioxide when judged on the timescale of a century; when judged on the timescale of two decades, it is 86 times as powerful. In other words, we have, trapped in Arctic permafrost, twice as much carbon as is currently wrecking the atmosphere of the planet, all of it scheduled to be released at a date that keeps getting moved up, partially in the form of a gas that multiplies its warming power 86 times over. But no matter how well-informed you are, you are surely not alarmed enough. Over the past decades, our culture has gone apocalyptic with zombie movies and Mad Max dystopias, perhaps the collective result of displaced climate anxiety, and yet when it comes to contemplating real-world warming dangers, we suffer from an incredible failure of imagination. The reasons for that are many: the timid language of scientific probabilities, which the climatologist James Hansen once called “scientific reticence” in a paper chastising scientists for editing their own observations so conscientiously that they failed to communicate how dire the threat really was; the fact that the country is dominated by a group of technocrats who believe any problem can be solved and an opposing culture that doesn’t even see warming as a problem worth addressing; the way that climate denialism has made scientists even more cautious in offering speculative warnings; the simple speed of change and, also, its slowness, such that we are only seeing effects now of warming from decades past; our uncertainty about uncertainty, which the climate writer Naomi Oreskes in particular has suggested stops us from preparing as though anything worse than a median outcome were even possible; the way we assume climate change will hit hardest elsewhere, not everywhere; the smallness (two degrees) and largeness (1.8 trillion tons) and abstractness (400 parts per million) of the numbers; the discomfort of considering a problem that is very difficult, if not impossible, to solve; the altogether incomprehensible scale of that problem, which amounts to the prospect of our own annihilation; simple fear. But aversion arising from fear is a form of denial, too. In between scientific reticence and science fiction is science itself. This article is the result of dozens of interviews and exchanges with climatologists and researchers in related fields and reflects hundreds of scientific papers on the subject of climate change. What follows is not a series of predictions of what will happen — that will be determined in large part by the much-less-certain science of human response. Instead, it is a portrait of our best understanding of where the planet is heading absent aggressive action. It is unlikely that all of these warming scenarios will be fully realized, largely because the devastation along the way will shake our complacency. But those scenarios, and not the present climate, are the baseline. In fact, they are our schedule. The Earth has experienced five mass extinctions before the one we are living through now, each so complete a slate-wiping of the evolutionary record it functioned as a resetting of the planetary clock, and many climate scientists will tell you they are the best analog for the ecological future we are diving headlong into. Unless you are a teenager, you probably read in your high-school textbooks that these extinctions were the result of asteroids. In fact, all but the one that killed the dinosaurs were caused by climate change produced by greenhouse gas. The most notorious was 252 million years ago; it began when carbon warmed the planet by five degrees, accelerated when that warming triggered the release of methane in the Arctic, and ended with 97 percent of all life on Earth dead. We are currently adding carbon to the atmosphere at a considerably faster rate; by most estimates, at least ten times faster. The rate is accelerating. This is what Stephen Hawking had in mind when he said, this spring, that the species needs to colonize other planets in the next century to survive, and what drove Elon Musk, last month, to unveil his plans to build a Mars habitat in 40 to 100 years. These are nonspecialists, of course, and probably as inclined to irrational panic as you or I. But the many sober-minded scientists I interviewed over the past several months — the most credentialed and tenured in the field, few of them inclined to alarmism and many advisers to the IPCC who nevertheless criticize its conservatism — have quietly reached an apocalyptic conclusion, too: No plausible program of emissions reductions alone can prevent climate disaster. Over the past few decades, the term “Anthropocene” has climbed out of academic discourse and into the popular imagination — a name given to the geologic era we live in now, and a way to signal that it is a new era, defined on the wall chart of deep history by human intervention. One problem with the term is that it implies a conquest of nature (and even echoes the biblical “dominion”). And however sanguine you might be about the proposition that we have already ravaged the natural world, which we surely have, it is another thing entirely to consider the possibility that we have only provoked it, engineering first in ignorance and then in denial a climate system that will now go to war with us for many centuries, perhaps until it destroys us. That is what Wallace Smith Broecker, the avuncular oceanographer who coined the term “global warming,” means when he calls the planet an “angry beast.” You could also go with “war machine.” Each day we arm it more. The bahraining of New York. Humans, like all mammals, are heat engines; surviving means having to continually cool off, like panting dogs. For that, the temperature needs to be low enough for the air to act as a kind of refrigerant, drawing heat off the skin so the engine can keep pumping. At seven degrees of warming, that would become impossible for large portions of the planet’s equatorial band, and especially the tropics, where humidity adds to the problem; in the jungles of Costa Rica, for instance, where humidity routinely tops 90 percent, simply moving around outside when it’s over 105 degrees Fahrenheit would be lethal. And the effect would be fast: Within a few hours, a human body would be cooked to death from both inside and out. Climate-change skeptics point out that the planet has warmed and cooled many times before, but the climate window that has allowed for human life is very narrow, even by the standards of planetary history. At 11 or 12 degrees of warming, more than half the world’s population, as distributed today, would die of direct heat. Things almost certainly won’t get that hot this century, though models of unabated emissions do bring us that far eventually. This century, and especially in the tropics, the pain points will pinch much more quickly even than an increase of seven degrees. The key factor is something called wet-bulb temperature, which is a term of measurement as home-laboratory-kit as it sounds: the heat registered on a thermometer wrapped in a damp sock as it’s swung around in the air (since the moisture evaporates from a sock more quickly in dry air, this single number reflects both heat and humidity). At present, most regions reach a wet-bulb maximum of 26 or 27 degrees Celsius; the true red line for habitability is 35 degrees. What is called heat stress comes much sooner. Actually, we’re about there already. Since 1980, the planet has experienced a 50-fold increase in the number of places experiencing dangerous or extreme heat; a bigger increase is to come. The five warmest summers in Europe since 1500 have all occurred since 2002, and soon, the IPCC warns, simply being outdoors that time of year will be unhealthy for much of the globe. Even if we meet the Paris goals of two degrees warming, cities like Karachi and Kolkata will become close to uninhabitable, annually encountering deadly heat waves like those that crippled them in 2015. At four degrees, the deadly European heat wave of 2003, which killed as many as 2,000 people a day, will be a normal summer. At six, according to an assessment focused only on effects within the U.S. from the National Oceanic and Atmospheric Administration, summer labor of any kind would become impossible in the lower Mississippi Valley, and everybody in the country east of the Rockies would be under more heat stress than anyone, anywhere, in the world today. As Joseph Romm has put it in his authoritative primer Climate Change: What Everyone Needs to Know, heat stress in New York City would exceed that of present-day Bahrain, one of the planet’s hottest spots, and the temperature in Bahrain “would induce hyperthermia in even sleeping humans.” The high-end IPCC estimate, remember, is two degrees warmer still. By the end of the century, the World Bank has estimated, the coolest months in tropical South America, Africa, and the Pacific are likely to be warmer than the warmest months at the end of the 20th century. Air-conditioning can help but will ultimately only add to the carbon problem; plus, the climate-controlled malls of the Arab emirates aside, it is not remotely plausible to wholesale air-condition all the hottest parts of the world, many of them also the poorest. And indeed, the crisis will be most dramatic across the Middle East and Persian Gulf, where in 2015 the heat index registered temperatures as high as 163 degrees Fahrenheit. As soon as several decades from now, the hajj will become physically impossible for the 2 million Muslims who make the pilgrimage each year. It is not just the hajj, and it is not just Mecca; heat is already killing us. In the sugarcane region of El Salvador, as much as one-fifth of the population has chronic kidney disease, including over a quarter of the men, the presumed result of dehydration from working the fields they were able to comfortably harvest as recently as two decades ago. With dialysis, which is expensive, those with kidney failure can expect to live five years; without it, life expectancy is in the weeks. Of course, heat stress promises to pummel us in places other than our kidneys, too. As I type that sentence, in the California desert in mid-June, it is 121 degrees outside my door. It is not a record high. Praying for cornfields in the tundra. Climates differ and plants vary, but the basic rule for staple cereal crops grown at optimal temperature is that for every degree of warming, yields decline by 10 percent. Some estimates run as high as 15 or even 17 percent. Which means that if the planet is five degrees warmer at the end of the century, we may have as many as 50 percent more people to feed and 50 percent less grain to give them. And proteins are worse: It takes 16 calories of grain to produce just a single calorie of hamburger meat, butchered from a cow that spent its life polluting the climate with methane farts. Pollyannaish plant physiologists will point out that the cereal-crop math applies only to those regions already at peak growing temperature, and they are right — theoretically, a warmer climate will make it easier to grow corn in Greenland. But as the pathbreaking work by Rosamond Naylor and David Battisti has shown, the tropics are already too hot to efficiently grow grain, and those places where grain is produced today are already at optimal growing temperature — which means even a small warming will push them down the slope of declining productivity. And you can’t easily move croplands north a few hundred miles, because yields in places like remote Canada and Russia are limited by the quality of soil there; it takes many centuries for the planet to produce optimally fertile dirt. Drought might be an even bigger problem than heat, with some of the world’s most arable land turning quickly to desert. Precipitation is notoriously hard to model, yet predictions for later this century are basically unanimous: unprecedented droughts nearly everywhere food is today produced. By 2080, without dramatic reductions in emissions, southern Europe will be in permanent extreme drought, much worse than the American dust bowl ever was. The same will be true in Iraq and Syria and much of the rest of the Middle East; some of the most densely populated parts of Australia, Africa, and South America; and the breadbasket regions of China. None of these places, which today supply much of the world’s food, will be reliable sources of any. As for the original dust bowl: The droughts in the American plains and Southwest would not just be worse than in the 1930s, a 2015 NASA study predicted, but worse than any droughts in a thousand years — and that includes those that struck between 1100 and 1300, which “dried up all the rivers East of the Sierra Nevada mountains” and may have been responsible for the death of the Anasazi civilization. Remember, we do not live in a world without hunger as it is. Far from it: Most estimates put the number of undernourished at 800 million globally. In case you haven’t heard, this spring has already brought an unprecedented quadruple famine to Africa and the Middle East; the U.N. has warned that separate starvation events in Somalia, South Sudan, Nigeria, and Yemen could kill 20 million this year alone. What happens when the bubonic ice melts? Rock, in the right spot, is a record of planetary history, eras as long as millions of years flattened by the forces of geological time into strata with amplitudes of just inches, or just an inch, or even less. Ice works that way, too, as a climate ledger, but it is also frozen history, some of which can be reanimated when unfrozen. There are now, trapped in Arctic ice, diseases that have not circulated in the air for millions of years — in some cases, since before humans were around to encounter them. Which means our immune systems would have no idea how to fight back when those prehistoric plagues emerge from the ice. The Arctic also stores terrifying bugs from more recent times. In Alaska, already, researchers have discovered remnants of the 1918 flu that infected as many as 500 million and killed as many as 100 million — about 5 percent of the world’s population and almost six times as many as had died in the world war for which the pandemic served as a kind of gruesome capstone. As the BBC reported in May, scientists suspect smallpox and the bubonic plague are trapped in Siberian ice, too — an abridged history of devastating human sickness, left out like egg salad in the Arctic sun. Experts caution that many of these organisms won’t actually survive the thaw and point to the fastidious lab conditions under which they have already reanimated several of them — the 32,000-year-old “extremophile” bacteria revived in 2005, an 8 million-year-old bug brought back to life in 2007, the 3.5 million–year–old one a Russian scientist self-injected just out of curiosity — to suggest that those are necessary conditions for the return of such ancient plagues. But already last year, a boy was killed and 20 others infected by anthrax released when retreating permafrost exposed the frozen carcass of a reindeer killed by the bacteria at least 75 years earlier; 2,000 present-day reindeer were infected, too, carrying and spreading the disease beyond the tundra. What concerns epidemiologists more than ancient diseases are existing scourges relocated, rewired, or even re-evolved by warming. The first effect is geographical. Before the early-modern period, when adventuring sailboats accelerated the mixing of peoples and their bugs, human provinciality was a guard against pandemic. Today, even with globalization and the enormous intermingling of human populations, our ecosystems are mostly stable, and this functions as another limit, but global warming will scramble those ecosystems and help disease trespass those limits as surely as Cortés did. You don’t worry much about dengue or malaria if you are living in Maine or France. But as the tropics creep northward and mosquitoes migrate with them, you will. You didn’t much worry about Zika a couple of years ago, either. As it happens, Zika may also be a good model of the second worrying effect — disease mutation. One reason you hadn’t heard about Zika until recently is that it had been trapped in Uganda; another is that it did not, until recently, appear to cause birth defects. Scientists still don’t entirely understand what happened, or what they missed. But there are things we do know for sure about how climate affects some diseases: Malaria, for instance, thrives in hotter regions not just because the mosquitoes that carry it do, too, but because for every degree increase in temperature, the parasite reproduces ten times faster. Which is one reason that the World Bank estimates that by 2050, 5.2 billion people will be reckoning with it. A rolling death smog that suffocates millions. Our lungs need oxygen, but that is only a fraction of what we breathe. The fraction of carbon dioxide is growing: It just crossed 400 parts per million, and high-end estimates extrapolating from current trends suggest it will hit 1,000 ppm by 2100. At that concentration, compared to the air we breathe now, human cognitive ability declines by 21 percent. Other stuff in the hotter air is even scarier, with small increases in pollution capable of shortening life spans by ten years. The warmer the planet gets, the more ozone forms, and by mid-century, Americans will likely suffer a 70 percent increase in unhealthy ozone smog, the National Center for Atmospheric Research has projected. By 2090, as many as 2 billion people globally will be breathing air above the WHO “safe” level; one paper last month showed that, among other effects, a pregnant mother’s exposure to ozone raises the child’s risk of autism (as much as tenfold, combined with other environmental factors). Which does make you think again about the autism epidemic in West Hollywood. Already, more than 10,000 people die each day from the small particles emitted from fossil-fuel burning; each year, 339,000 people die from wildfire smoke, in part because climate change has extended forest-fire season (in the U.S., it’s increased by 78 days since 1970). By 2050, according to the U.S. Forest Service, wildfires will be twice as destructive as they are today; in some places, the area burned could grow fivefold. What worries people even more is the effect that would have on emissions, especially when the fires ravage forests arising out of peat. Peatland fires in Indonesia in 1997, for instance, added to the global CO2 release by up to 40 percent, and more burning only means more warming only means more burning. There is also the terrifying possibility that rain forests like the Amazon, which in 2010 suffered its second “hundred-year drought” in the space of five years, could dry out enough to become vulnerable to these kinds of devastating, rolling forest fires — which would not only expel enormous amounts of carbon into the atmosphere but also shrink the size of the forest. That is especially bad because the Amazon alone provides 20 percent of our oxygen. Then there are the more familiar forms of pollution. In 2013, melting Arctic ice remodeled Asian weather patterns, depriving industrial China of the natural ventilation systems it had come to depend on, which blanketed much of the country’s north in an unbreathable smog. Literally unbreathable. A metric called the Air Quality Index categorizes the risks and tops out at the 301-to-500 range, warning of “serious aggravation of heart or lung disease and premature mortality in persons with cardiopulmonary disease and the elderly” and, for all others, “serious risk of respiratory effects”; at that level, “everyone should avoid all outdoor exertion.” The Chinese “airpocalypse” of 2013 peaked at what would have been an Air Quality Index of over 800. That year, smog was responsible for a third of all deaths in the country. The violence baked into heat. Climatologists are very careful when talking about Syria. They want you to know that while climate change did produce a drought that contributed to civil war, it is not exactly fair to say that the conflict is the result of warming; next door, for instance, Lebanon suffered the same crop failures. But researchers like Marshall Burke and Solomon Hsiang have managed to quantify some of the non-obvious relationships between temperature and violence: For every half-degree of warming, they say, societies will see between a 10 and 20 percent increase in the likelihood of armed conflict. In climate science, nothing is simple, but the arithmetic is harrowing: A planet five degrees warmer would have at least half again as many wars as we do today. Overall, social conflict could more than double this century. This is one reason that, as nearly every climate scientist I spoke to pointed out, the U.S. military is obsessed with climate change: The drowning of all American Navy bases by sea-level rise is trouble enough, but being the world’s policeman is quite a bit harder when the crime rate doubles. Of course, it’s not just Syria where climate has contributed to conflict. Some speculate that the elevated level of strife across the Middle East over the past generation reflects the pressures of global warming — a hypothesis all the more cruel considering that warming began accelerating when the industrialized world extracted and then burned the region’s oil. What accounts for the relationship between climate and conflict? Some of it comes down to agriculture and economics; a lot has to do with forced migration, already at a record high, with at least 65 million displaced people wandering the planet right now. But there is also the simple fact of individual irritability. Heat increases municipal crime rates, and swearing on social media, and the likelihood that a major-league pitcher, coming to the mound after his teammate has been hit by a pitch, will hit an opposing batter in retaliation. And the arrival of air-conditioning in the developed world, in the middle of the past century, did little to solve the problem of the summer crime wave. Dismal capitalism in a half-poorer world. The murmuring mantra of global neoliberalism, which prevailed between the end of the Cold War and the onset of the Great Recession, is that economic growth would save us from anything and everything. But in the aftermath of the 2008 crash, a growing number of historians studying what they call “fossil capitalism” have begun to suggest that the entire history of swift economic growth, which began somewhat suddenly in the 18th century, is not the result of innovation or trade or the dynamics of global capitalism but simply our discovery of fossil fuels and all their raw power — a onetime injection of new “value” into a system that had previously been characterized by global subsistence living. Before fossil fuels, nobody lived better than their parents or grandparents or ancestors from 500 years before, except in the immediate aftermath of a great plague like the Black Death, which allowed the lucky survivors to gobble up the resources liberated by mass graves. After we’ve burned all the fossil fuels, these scholars suggest, perhaps we will return to a “steady state” global economy. Of course, that onetime injection has a devastating long-term cost: climate change. The most exciting research on the economics of warming has also come from Hsiang and his colleagues, who are not historians of fossil capitalism but who offer some very bleak analysis of their own: Every degree Celsius of warming costs, on average, 1.2 percent of GDP (an enormous number, considering we count growth in the low single digits as “strong”). This is the sterling work in the field, and their median projection is for a 23 percent loss in per capita earning globally by the end of this century (resulting from changes in agriculture, crime, storms, energy, mortality, and labor). Tracing the shape of the probability curve is even scarier: There is a 12 percent chance that climate change will reduce global output by more than 50 percent by 2100, they say, and a 51 percent chance that it lowers per capita GDP by 20 percent or more by then, unless emissions decline. By comparison, the Great Recession lowered global GDP by about 6 percent, in a onetime shock; Hsiang and his colleagues estimate a one-in-eight chance of an ongoing and irreversible effect by the end of the century that is eight times worse. The scale of that economic devastation is hard to comprehend, but you can start by imagining what the world would look like today with an economy half as big, which would produce only half as much value, generating only half as much to offer the workers of the world. It makes the grounding of flights out of heat-stricken Phoenix last month seem like pathetically small economic potatoes. And, among other things, it makes the idea of postponing government action on reducing emissions and relying solely on growth and technology to solve the problem an absurd business calculation. Every round-trip ticket on flights from New York to London, keep in mind, costs the Arctic three more square meters of ice. Sulfide burps off the skeleton coast. That the sea will become a killer is a given. Barring a radical reduction of emissions, we will see at least four feet of sea-level rise and possibly ten by the end of the century. A third of the world’s major cities are on the coast, not to mention its power plants, ports, navy bases, farmlands, fisheries, river deltas, marshlands, and rice-paddy empires, and even those above ten feet will flood much more easily, and much more regularly, if the water gets that high. At least 600 million people live within ten meters of sea level today. But the drowning of those homelands is just the start. At present, more than a third of the world’s carbon is sucked up by the oceans — thank God, or else we’d have that much more warming already. But the result is what’s called “ocean acidification,” which, on its own, may add a half a degree to warming this century. It is also already burning through the planet’s water basins — you may remember these as the place where life arose in the first place. You have probably heard of “coral bleaching” — that is, coral dying — which is very bad news, because reefs support as much as a quarter of all marine life and supply food for half a billion people. Ocean acidification will fry fish populations directly, too, though scientists aren’t yet sure how to predict the effects on the stuff we haul out of the ocean to eat; they do know that in acid waters, oysters and mussels will struggle to grow their shells, and that when the pH of human blood drops as much as the oceans’ pH has over the past generation, it induces seizures, comas, and sudden death. That isn’t all that ocean acidification can do. Carbon absorption can initiate a feedback loop in which underoxygenated waters breed different kinds of microbes that turn the water still more “anoxic,” first in deep ocean “dead zones,” then gradually up toward the surface. There, the small fish die out, unable to breathe, which means oxygen-eating bacteria thrive, and the feedback loop doubles back. This process, in which dead zones grow like cancers, choking off marine life and wiping out fisheries, is already quite advanced in parts of the Gulf of Mexico and just off Namibia, where hydrogen sulfide is bubbling out of the sea along a thousand-mile stretch of land known as the “Skeleton Coast.” The name originally referred to the detritus of the whaling industry, but today it’s more apt than ever. Hydrogen sulfide is so toxic that evolution has trained us to recognize the tiniest, safest traces of it, which is why our noses are so exquisitely skilled at registering flatulence. Hydrogen sulfide is also the thing that finally did us in that time 97 percent of all life on Earth died, once all the feedback loops had been triggered and the circulating jet streams of a warmed ocean ground to a halt — it’s the planet’s preferred gas for a natural holocaust. Gradually, the ocean’s dead zones spread, killing off marine species that had dominated the oceans for hundreds of millions of years, and the gas the inert waters gave off into the atmosphere poisoned everything on land. Plants, too. It was millions of years before the oceans recovered. Our present eeriness cannot last. So why can’t we see it? In his recent book-length essay The Great Derangement, the Indian novelist Amitav Ghosh wonders why global warming and natural disaster haven’t become major subjects of contemporary fiction — why we don’t seem able to imagine climate catastrophe, and why we haven’t yet had a spate of novels in the genre he basically imagines into half-existence and names “the environmental uncanny.” “Consider, for example, the stories that congeal around questions like, ‘Where were you when the Berlin Wall fell?’ or ‘Where were you on 9/11?’ ” he writes. “Will it ever be possible to ask, in the same vein, ‘Where were you at 400 ppm?’ or ‘Where were you when the Larsen B ice shelf broke up?’ ” His answer: Probably not, because the dilemmas and dramas of climate change are simply incompatible with the kinds of stories we tell ourselves about ourselves, especially in novels, which tend to emphasize the journey of an individual conscience rather than the poisonous miasma of social fate. Surely this blindness will not last — the world we are about to inhabit will not permit it. In a six-degree-warmer world, the Earth’s ecosystem will boil with so many natural disasters that we will just start calling them “weather”: a constant swarm of out-of-control typhoons and tornadoes and floods and droughts, the planet assaulted regularly with climate events that not so long ago destroyed whole civilizations. The strongest hurricanes will come more often, and we’ll have to invent new categories with which to describe them; tornadoes will grow longer and wider and strike much more frequently, and hail rocks will quadruple in size. Humans used to watch the weather to prophesy the future; going forward, we will see in its wrath the vengeance of the past. Early naturalists talked often about “deep time” — the perception they had, contemplating the grandeur of this valley or that rock basin, of the profound slowness of nature. What lies in store for us is more like what the Victorian anthropologists identified as “dreamtime,” or “everywhen”: the semi-mythical experience, described by Aboriginal Australians, of encountering, in the present moment, an out-of-time past, when ancestors, heroes, and demigods crowded an epic stage. You can find it already watching footage of an iceberg collapsing into the sea — a feeling of history happening all at once. It is. Many people perceive climate change as a sort of moral and economic debt, accumulated since the beginning of the Industrial Revolution and now come due after several centuries — a helpful perspective, in a way, since it is the carbon-burning processes that began in 18th-century England that lit the fuse of everything that followed. But more than half of the carbon humanity has exhaled into the atmosphere in its entire history has been emitted in just the past three decades; since the end of World War II, the figure is 85 percent. Which means that, in the length of a single generation, global warming has brought us to the brink of planetary catastrophe, and that the story of the industrial world’s kamikaze mission is also the story of a single lifetime. My father’s, for instance: born in 1938, among his first memories the news of Pearl Harbor and the mythic Air Force of the propaganda films that followed, films that doubled as advertisements for imperial-American industrial might; and among his last memories the coverage of the desperate signing of the Paris climate accords on cable news, ten weeks before he died of lung cancer last July. Or my mother’s: born in 1945, to German Jews fleeing the smokestacks through which their relatives were incinerated, now enjoying her 72nd year in an American commodity paradise, a paradise supported by the supply chains of an industrialized developing world. She has been smoking for 57 of those years, unfiltered. Jim Hansen is another member of this godfather generation. Born in 1941, he became a climatologist at the University of Iowa, developed the groundbreaking “Zero Model” for projecting climate change, and later became the head of climate research at NASA, only to leave under pressure when, while still a federal employee, he filed a lawsuit against the federal government charging inaction on warming (along the way he got arrested a few times for protesting, too). The lawsuit, which is brought by a collective called Our Children’s Trust and is often described as “kids versus climate change,” is built on an appeal to the equal-protection clause, namely, that in failing to take action on warming, the government is violating it by imposing massive costs on future generations; it is scheduled to be heard this winter in Oregon district court. Hansen has recently given up on solving the climate problem with a carbon tax alone, which had been his preferred approach, and has set about calculating the total cost of the additional measure of extracting carbon from the atmosphere. Several of the scientists I spoke with proposed global warming as the solution to Fermi’s famous paradox, which asks, If the universe is so big, then why haven’t we encountered any other intelligent life in it? The answer, they suggested, is that the natural life span of a civilization may be only several thousand years, and the life span of an industrial civilization perhaps only several hundred. In a universe that is many billions of years old, with star systems separated as much by time as by space, civilizations might emerge and develop and burn themselves up simply too fast to ever find one another. Peter Ward, a charismatic paleontologist among those responsible for discovering that the planet’s mass extinctions were caused by greenhouse gas, calls this the “Great Filter”: “Civilizations rise, but there’s an environmental filter that causes them to die off again and disappear fairly quickly,” he told me. “If you look at planet Earth, the filtering we’ve had in the past has been in these mass extinctions.” The mass extinction we are now living through has only just begun; so much more dying is coming. And yet, improbably, Ward is an optimist. So are Broecker and Hansen and many of the other scientists I spoke to. We have not developed much of a religion of meaning around climate change that might comfort us, or give us purpose, in the face of possible annihilation. But climate scientists have a strange kind of faith: We will find a way to forestall radical warming, they say, because we must. It is not easy to know how much to be reassured by that bleak certainty, and how much to wonder whether it is another form of delusion; for global warming to work as parable, of course, someone needs to survive to tell the story. The scientists know that to even meet the Paris goals, by 2050, carbon emissions from energy and industry, which are still rising, will have to fall by half each decade; emissions from land use (deforestation, cow farts, etc.) will have to zero out; and we will need to have invented technologies to extract, annually, twice as much carbon from the atmosphere as the entire planet’s plants now do. Nevertheless, by and large, the scientists have an enormous confidence in the ingenuity of humans — a confidence perhaps bolstered by their appreciation for climate change, which is, after all, a human invention, too. They point to the Apollo project, the hole in the ozone we patched in the 1980s, the passing of the fear of mutually assured destruction. Now we’ve found a way to engineer our own doomsday, and surely we will find a way to engineer our way out of it, one way or another. The planet is not used to being provoked like this, and climate systems designed to give feedback over centuries or millennia prevent us — even those who may be watching closely — from fully imagining the damage done already to the planet. But when we do truly see the world we’ve made, they say, we will also find a way to make it livable. For them, the alternative is simply unimaginable. *A version of this article appears in the July 10, 2017, issue of New York Magazine. The most credible prediction of the effects of climate change comes from the U.N.’s Intergovernmental Panel on Climate Change, which issues regular reports synthesizing the latest science. The IPCC’s median business-as-usual projection for warming by 2100 is about four degrees, which would expose half the world’s population to unprecedented heat stress, according to Steven C. Sherwood and Matthew Huber’s landmark study on the subject. “I haven’t learned anything since publishing that paper,” Sherwood, a professor at UNSW Sydney, Kensington, told me. “It looks to me that at that those numbers — four to six degrees — you’d start to see the tropics evacuating, because people wouldn’t be able to live there. It might be less than four degrees. But around four degrees or five degrees, would be the point where people would be finding it unbearable.” It wouldn’t just be heat stress driving people away, he said. “A combination of heat stress and other things. I think you’d start to see crop failures, damage to the biosphere. Keep in mind, in the tropics, two or three degrees takes the environment outside the range of natural variability.” As Richard Alley of Pennsylvania State University told me, “under rapid emissions, by the end of the century, 40 percent of the ability of people to work outside would be lost.” How likely is this median, “business-as-usual” outcome? It’s difficult to say, unfortunately, given how many and how variable the inputs would be for any projections: emissions rates, the pace of technological change, cultural changes, and public policy, all on top of what is already a quite complicated (and not entirely understood) natural system that delivers both amplifying and moderating feedbacks to human-produced greenhouse-gas effects. In some ways, it is easiest to talk about that business-as-usual model, because it holds so many of those variables constant. But, since a number of readers have wondered about those probabilities, I’ll mention a couple of estimates that seemed helpful, to me, in establishing the general lay of the land. In my interview with Michael Oppenheimer, of Princeton, he told me that he’d estimate our chances of staying below the Paris accord’s goal of two-degrees warming at 10 percent. In my interview with Wallace Smith Broecker, of Columbia, he mentioned some research he’d followed whereby researchers ran a single model many, many times to generate a range of probabilities; “The mean was about 3.5 degrees Celsius of warming,” he told me. “But it showed there was something like 15 percent probability that it’d be more than four degrees, just on these model runs.” And in their book Climate Shock: The Economic Consequences of a Hotter Planet, Gernot Wagner and Martin Weitzman estimate a 15 percent chance that we overshoot six degrees. These models make a variety of assumptions, both about natural systems and manmade response, but collectively they do suggest, to me at least, that we have been far too focused on the optimistic possibilities (which bring us to 2100 at or under two degrees warming) and not nearly focused enough on the more dire ones. As Joseph Romm wrote in Climate Change: What Everyone Needs to Know, “Any time this book or any news report cites an IPCC projection of future warming or future climate impacts, it is almost certain that projection represents an underestimate of what is to come.” “This is a little bit shocking,” Ketil Isaksen of the Norwegian Meteorological Institute said of the temperatures. “When we built the seed vault, there was not even discussion of the permafrost,” Hege Njaa Aschim, the press representative of the organization that oversees the project, told me. But the weather last winter, she said, was “like a Norwegian summer.” “We didn’t come up with the term doomsday vault,” Cary Fowler, the mastermind of the seed vault, told me. “The idea there was to provide an insurance policy, so if anything were to happen to those other facilities, it wouldn’t be an extinction event.” Fowler was emphatic on this point to me — there had been a wave of press coverage that presented the flooding as something catastrophic, rather than a breach that let meltwater in just 15 or 20 meters down a much-longer tunnel that leads from the exterior of the mountain into the seed vault’s “cathedral” room, from which the storage facilities fan. In this paper, it’s calculated by petagrams; 1,672 petagrams is about 1.8 trillion tons. This is from Joseph Romm’s Climate Change, page 81 (in the paperback edition). The book was an invaluable resource in researching this article, and I highly recommend it to anyone interested in picking up where this piece leaves off. This is also from Romm, also page 81. You can read more about methane’s greenhouse effects here. There has been a fair amount of criticism of my use of this material. Michael Mann in particular has faulted me for it; in his initial Facebook post about the story, he wrote that “the science doesn’t support the notion of a game-changing, planet-melting methane bomb.” At Climate Feedback, several other scientists took issue with various aspects of my characterization as well. ¶ There is little doubt that this permafrost is melting quickly. According to the IPCC’s Fifth Assessment, by 2100, “it is virtually certain that near-surface permafrost extent at high northern latitudes will be reduced as global mean surface temperature increases, with the area of permafrost near the surface (upper 3.5 m) projected to decrease by 37% (RCP2.6) to 81% (RCP8.5) for the multi-model average.” But there is some important context I did not include here: Few scientists believe there is a substantial risk of methane release from permafrost happening suddenly, or all at once. Also, most of the carbon will likely escape as C02, not methane. In retrospect, I sympathize with those who find misleading the phrase “all of it scheduled to be released at a date that keeps getting moved up.” The schedule I was referring to was the melting, which will take decades; the thawing is a process, not an event. ¶ I believe that my original description of the possibility of the methane release lacked some relevant (reassuring) context. But I do not believe the science was fundamentally misrepresented here: There is that much carbon in the permafrost; the permafrost is melting at accelerating rates; some of the carbon will be released as methane; and methane is a stronger greenhouse gas than carbon dioxide. ¶ My intention in referencing the permafrost was to illustrate, for readers unfamiliar with the particulars of projection models, how many uncertain factors were at play — how many forces we don’t understand, and how possibly significant those forces could be in the warming of the planet. As Joseph Romm writes, “The thawing tundra or permafrost may well be the single most important amplifying carbon-cycle feedback. Yet, none of the Intergovernmental Panel on Climate Change’s climate models include carbon dioxide or methane emissions from warming tundra as a feedback.” He also writes, “A 2011 study by the U.S. National Oceanic and Atmospheric Administration and the National Snow and Ice Data Center found that thawing permafrost will turn the Arctic from a place that stores carbon (a sink) to a place that generates carbon (a source) in the 2020s—and release a hundred billion tons of carbon by 2100.” That study, he says, assumes none of the carbon will be released as methane, and yet still predicts a release “equivalent to half the amount of carbon that has been released into the atmosphere since the dawn of the industrial age.” ¶ To be additionally clear, none of the warming scenarios described in the remainder of this article are built on the premise of a methane release from permafrost. They all extrapolate from the median and high-end IPCC projections for business-as-usual warming. Even if you take issue with my characterization of the threat from permafrost melt, it does not affect my discussion of any of the risks that follow. The permafrost melt is a wild card which could add to those IPCC projections. (Romm calculates it could add a degree of warming by 2100 all on its own.) ¶ For those who are really interested in reading about methane, there are also the clathrates to consider — bubbles of methane at the bottom of the ocean, which many energy companies are now hoping to mine. Speaking about those with me, Lee Kump, a Penn State geoscientist, had this to say: “We haven’t really anticipated these positive feedbacks — for instance, these pockets of methane. That methane starts bubbling out, that’s a potent greenhouse gas. As that spreads throughout the globe, there’s a tremendous potential there for methane hydrates release.” He went on: “As you move towards the poles, we’re already seeing the consequences of warming there in terms of methane release.” This reference to recent, alarming news generated a fair amount of pushback among scientists. We’ve adjusted the text to make clear that, while many outlets did describe the study in these terms — in the Washington Post, for instance: “Satellite temperature data, leaned on sharply by climate change doubters, revised sharply upward”) — the actual news was much less dramatic. There was satellite data that was revised upward, but it was data that had been previously interpreted to be below estimates and adjacent data sets, and was revised to bring it more or less into line with those estimates and data sets (that is, it did not change the big-picture assessment of how fast the planet was warming). In general, I agree with this characterization, by Carl Mears, who wrote the study: “This sentence is true for RSS data,” he told Climate Feedback. “But it’s somewhat misleading due to lack of context.” The paper on which the news was based can be found here. As readers have pointed out, there is a debate within the scientific community about whether this calving is a natural process or the result of climate change. In either case, it is alarming news, given that the ice now loosed into the ocean will melt faster. And, of course, the calving has since occurred. That paper can be found here. Hansen spoke about this with me: “You’re rewarded in science for not stepping out too rapidly,” he said. Hansen also spoke about this with me: “The fundamental difficulty is the delayed response — the inertia of the climate system. The ocean is deep and the ice sheets are three kilometers thick, and they don’t respond quickly to what is really a weak forcing. And so the system has only partially responded to the forcing we’ve put up already. There’s more in the pipeline. You’re talking about a system that responds on the timescale of decades to centuries — that’s a different time constant than the political constant.” One especially good paper by Oreskes can be found here. This is the warming target, in Celsius, of the Paris climate accord agreement. This is the amount of carbon in the permafrost (see note No. 8). This is the current concentration of CO2 in the atmosphere. These five sentences were the focal point of much of the debate among scientists surrounding this piece: Were they explicit enough to explain to readers that this article would be a tour of worst-case scenarios, and was not intended to be read as a prediction of likely outcomes? And furthermore, was such a worst-case-scenario tour irresponsible, given that they are not the most likely scenarios? For some of the most thoughtful commentary on all sides of the debate, I recommend reading the essays by Susan Matthews, David Roberts, and Robinson Meyer. Joseph Romm, in Climate Change: “Many cornerstone elements of our climate began changing far faster than most scientists had projected. The Arctic began losing sea ice several decades ahead of every single climate model used by the IPCC, which in turn means the Arctic region warmed up even faster than scientists expected. At the same time, the great ice sheets of Greenland and Antarctica, which contain enough water to raise sea levels ultimately 25–80 meters (80–260 feet), have begun disintegrating ‘a century ahead of schedule,’ as Richard Alley, a leading climatologist put it in 2005. In 2014 and 2015, we learned that both ice sheets are far less stable than we realized, and they are dangerously close to tipping points that would lead to irreversible collapse and dramatic rates of sea level rise.” Peter Ward told me Bangladesh is “doomed”: “The worst place on earth has to be Bangladesh, because it’s not just the covering, it’s the sideways salt problem that will doom them.The scary thing is that, the direct cover is what people cite, but they ignore, to date, the sideways infiltration of salt. And this, again, just a slight rise in sea level causes a huge problem. And, as you know, as the sea level rises, it’s like a diving board for storm surge. You’re causing storm surge to jump ever further inland, and that in itself means huge inundation — it doesn’t have to be the rise to destroy the crops. It’s just a bad, bad situation. Bangladesh — you cover it up, where are those people going to go?” ¶ In Bangladesh, 40 percent of land is projected to be lost with just 65 centimeters (just over two feet) sea-level rise. Could some of this flooding be avoided if the world zeroed out emissions immediately and entirely (if the Paris accords legislated 100 percent carbon-neutral energy and industry and land use)? Some, possibly. But one 2012 study by Climate Analytics suggested that even if the planet eliminated emissions entirely by 2016 a best-possible-case outcome would be sea-level rise of 59 centimeters by 2100 — just about exactly that two feet of rise that would cover 40 percent of the country. ¶ A few of the other scientists I spoke with weren’t quite as definitive as Ward, but in general agreed that no plausible emissions-reduction regime could stop the planet from reaching about 1.5 degrees warming by the end of the century, which will produce some quite problematic sea-level effect. “Forty or 50 years from now we’ll be at doubled carbon dioxide,” Wallace Smith Broecker told me. “And that will be away above — we may not be above two degrees at that point, because the ocean is sucking up a lot of heat, and we have to heat up the ocean. And that’s one thing — the melting of the ice. Of course that involves almost all the major cities in the world, which are on the ocean. Bangladesh and Florida and so forth.” That same two-foot sea-level rise would increase flooding in Miami Beach and other Miami barrier islands about a hundredfold, according to Doug Marcy of the NOAA, working from data centered on nearby Virginia Key. Here is one good report on the threat to Miami and South Florida generally. James Hansen has been especially vocal about the risks of a two-degrees-warmer world. For instance, this expert. See the U.N,’s Summary for Policymakers. At Climate Feedback, Ted Letcher calls this a “gross oversimplification.” However, he goes on to say that, “The IPCC report does generally show a net positive cloud feedback, indicating global cloud feedbacks will lead to additional warming.” Some of these effects are included in the IPCC reports, but this assessment of how fully they’ve been incorporated comes from a fact-checking conversation with Michael Oppenheimer (separate from the original reporting interview). Oppenheimer is not only one of the world’s leading authorities on climate change, he has also been closely involved through the years with the IPCC project. Some scientists have argued that the IPCC has modeled some of these effects, and they are correct in the sense that the reports include many, many divergent models, emphasized to different degrees and given different amounts of prominence in their reports. But on the question of just how fully those reports account for these effects, I’m with Oppenheimer. As some scientists have pointed out, there are also feedback loops that work in the opposite direction, though they are generally considered to be less powerful, so that the net effect remains “positive” (that is, amplifying warming). As Joseph Romm points out, “In 2011, Science published a major review, ‘Lessons from Earth’s Past,’ which suggested that carbon dioxide ‘may have at least twice the effect on global temperatures than currently projected by computer models.’” This phrase has been updated to more accurately reflect the rate of warming during the Paleocene–Eocene Thermal Maximum. Brannen’s book is a very engaging way into the history of mass extinctions (and he was a very helpful interview, too). This sentence was updated to correct a reference to Brannen’s book. Here is an even shorter way into the history. In their book Dire Predictions, Michael Mann and Lee Kump estimate that four degrees of warming would eliminate between 40 and 70 percent of the world’s species. At 2.2 degrees, we’d lose between 15 and 37 percent. “To me, the mass extinctions were really interesting in terms of what happens after them — we have this dead period, and the recovery fauna is totally different,” Peter Ward told me. 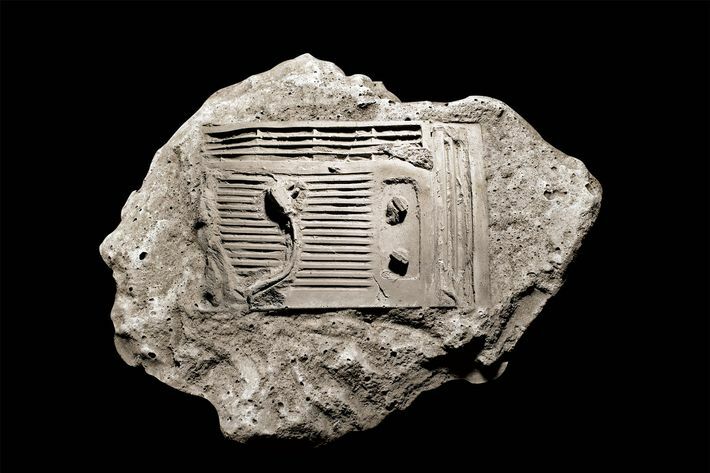 “And that leads to the idea of, Gee, how much longer will the recovery be if we have an extinction now?” “To find analogue worlds for the future, we have to go way back in Earth’s history,” Lee Kump told me. “Each of these events, including the modern situation, starts with a trigger. In the past it’s been a volcanic eruption, now it’s fossil-fuel burning, but it’s a very analogous perturbation to the system. But then it’s amplified by hidden feedbacks that get activated from the initial warming, and bring that warming even further.” “Impact was key, and king, for the 1980s and 1990s — every one of the big extinctions was attributed to impact,” Peter Ward told me. “But it became clear that, in fact, no, these were not impact extinctions. We had to invent a new term. I don’t know who came up with it first, but I was in there pretty early calling them greenhouse extinctions. And this new paradigm started coming into play. We’re even starting to see that K–T [the extinction that killed off the dinosaurs] also has a greenhouse component — because there was warming right at the impact.” For more about the end-Permian mass extinction, see this National Geographic article, this article from Phys.org, and my interview with Peter Ward. In Climate Feedback’s scientist survey, Lee Kump took issue with my description of the role of methane in the end-Permian extinction: “Whether methane was released remains speculative, although not unlikely.” Speaking about the same extinction event to me, he was much less equivocal: “That was triggered by volcanic eruption — in this case in Siberia, one of the biggest volcanic events of all time. And that had the predictable effects — release of CO2, methane, and ultimately mass extinctions.” “Maximum rates of carbon emissions for both the PETM and the end-Permian is about 1 billion tons of carbon, and right now we’re at 10 billion tons of carbon,” Lee Kump told me. “The duration of both of those events was much longer than fossil-fuel burning will go on, and so the total amount is lower — but not by a factor of ten. By a factor of two or three.” According to the World Bank, “The present CO2 concentration is higher than paleoclimatic and geologic evidence indicates has occurred at any time in the last 15 million years.” “It’s going completely in the wrong direction, with no sign that the planet as a whole has the problem under control,” Kevin Trenberth, a senior scientist at the National Center for Atmospheric Research, told Inside Climate News. As Joseph Romm puts it, “The current rate of increase in global warming is roughly the same as detonating 400,000 Hiroshima bombs per day, 365 days per year.” See, for instance, my interviews with James Hansen and Wallace Smith Broecker. “The climate system is an angry beast and we are poking it with sticks.” This is from the landmark paper on the subject, by Steven C. Sherwood and Matthew Huber. You can use this rough wet-bulb-temperature calculator to explore other circumstances. This is based on research by Sherwood, which can be found here. Sherwood and Huber again. “One of the problems in the IPCC is that they only want to focus on what happens in the year 2100. If you go out to 2300, it’s not hard to get past six degrees — half the models do that,” Sherwood told me by phone. Later, by email, he added: “Several of the models run for the last IPCC report eventually reach more than 10C of warming under a no-mitigation scenario (though not until the next century or the one after). You could say it is unlikely. Most models eventually exceed 6C though, so this is actually unlikely *not* to happen without mitigation!” Sherwood and Huber again. The original paper is by James Hansen, though for this and much of my account of extreme heat events I relied on Joseph Romm’s Climate Change. This is from the World Bank’s very helpful 2012 report Turn Down the Heat, on life in a world four degrees warmer. The warning appears on page 15 of the Fifth Assessment’s Synthesis Report. As some readers have pointed out, these effects will come about gradually, beginning with the rare unusually hot day; those unusually hot days will gradually become more frequent in number. As with all of the climate effects in this article, it’s important to remember that heat stress is not a binary matter: It’s not that there are two options, lethal heat waves and normal, comfortable temperatures, but that global warming will gradually bring about more and more heat stress. The same is true, of course, for effects on agriculture, economics, conflict, and other areas. As Richard Alley told me, “We’ve warmed the world one degree. The general impression is that each degree is more costly, more damaging, than the previous one. The first degree — most estimates are that the first degree was almost free. But we can see a dotted line into Syria. The second degree will cost more than the first degree. You might say it costs the square of the warming.” “Even if such aspirations are realized, large increases in the frequency of deadly heat should be expected, with more than 350 million more megacity inhabitants afflicted by midcentury,” this paper warns. Also from Turn Down the Heat. The report can be found here. This is from page 138, though it refers to the same NOAA study mentioned above. See Turn Down the Heat. The air-conditioning/carbon trade-off is especially acute in developing countries. This was in Iran. This study, by Jeremy S. Pal and Elfatih A. B. Eltahir, was also written about in the New York Times. A good account of this phenomenon appeared in Australia’s The Age (flagged for me by Steven Sherwood). “Average life expectancy on dialysis is 5–10 years,” the National Kidney Foundation estimates. This was in Palm Springs. But close. The major paper on this subject is by David S. Battisti and Rosamond L. Naylor. “Under optimal conditions — these are controlled plots, where they have irrigation and pesticides — you get this kind of typical, between 10 percent and 17 percent decline for every degree Celsius of increase,” David Battisti told me. “But people will say, ‘What about the carbon fertilization?’” That has been thought to aid plant growth, a kind of airborne fertilizer. “Everything I’ve seen about CO2 fertilization — none of it is helpful for grains. It might be helpful for biomass, but it’s not helpful for grains. And so, yeah, if you want to eat the leaves of the wheat plant, it might be okay. But if you want to eat the wheat, it’s not necessarily good.” In my interview with Battisti, I suggested this arithmetic: four or five degrees warming means 50 or 60 percent drop in yields, for a population that will be 50 to 75 percent higher. “That’s right, that’s right,” he said. “Yup, yup. And there are some things you could do. You could have some of these countries develop and not turn to a meat diet, which would help a little bit. Obviously, when people get wealthier their diet shifts more to a meat diet, which means you need grain to feed cows and pigs and chickens. And every country — even India is shifting to be more meat consumption per person, though it’s a small shift because of religious reasons, but every other country lies on the same curve. As the income goes up, the consumption of meat goes up. Which means the demand for grains will go through the roof.” Battisti: “There are these seed-conversion rates that range from a factor of— very low is three, three kilograms of protein that you feed a fish for one kilogram you get out of it. For beef, it’s ten. And, you end up with massive amounts of grain to feed pigs and chickens.” Cows both burp and fart methane, although the burps are actually worse; National Geographic recently wrote that cow burps are responsible for 26 percent of U.S. methane release. “If you’re beyond the optimal temperature, as in the tropics, as you increase temperature, yields decline,” Battisti said. “In the mid-latitudes, people haven’t worried so much, because we live near the optimal temperature for growing grains. But the thing is, there’s a lot of natural variability in growing-season temperature in the mid-latitudes, compared to the tropics. Tropics are steady. So you have this same wobbling around of temperatures, but I’ve warmed enough so I’m now on the downside of that optimal slope, than it means you’re wobbling all over the slope, anything from perfectly warm conditions, like we have today, to way too warm, as we have today in the tropics. So the volatility in the yield will go through the roof. And our calculations show that. By 2050, under a typical middle-of-the-road emissions scenario, you’re looking at a doubling of the volatility for grains in the mid-latitudes. In places like China, the U.S., Europe, Ukraine — the breadbasket countries of the world — the volatility from year to year just from natural climate variability at a higher temperature is going to much higher. The impact on the crops is going to be greater and greater.” “Pretty much all the arable land worth farming is already being farmed, so I’m not sure you can say where to go,” Battisti told me. So warming couldn’t help production at higher latitudes? I asked. “No, no. You’d really have no change in higher latitudes, simply because it takes a long time for soil to be prepared to grow grain. A lot of places, you go north in Canada, you run out of soil. You run out of conditions to grow. Part of it is climate, and part of it is grow quality. There was a pretty big piece of ice up there not so long ago, and there’s not enough topsoil to grow grains.” According to the U.N.’s Food and Agriculture Organization, it takes about 1,000 years for three centimeters of topsoil to form. “As much as one third of the Earth’s currently habited and arable land faces a near permanent drying this century,” Joseph Romm writes in Climate Change. Peter Brannen, in Ends of the World: “By the year 2050, according to a 2014 MIT study, there will also be 5 billion people living in water-stressed areas.” See “Global warming and 21st century drying,” a 2014 study led by Benjamin I. Cook. This is from Romm, page 99. The quote is Romm, working off this study, summarized here. Technically, the World Hunger Organization puts the number at 795 million. Read about it from the U.N. here. The BBC recently covered this well. They actually extracted it from the cadaver of a frozen woman. This one came immediately back to life. This one grew very slowly when revived. “Just to see what would happen,” as Vice wrote in their profile of the scientist. Watch him on YouTube, here. Jean-Michel Claverie and colleagues, for instance, have published on this debate. The Guardian had a good news story about this episode; anthrax had not previously been seen in the region since 1941. One of the major problems here is that scientists lack much data about how Zika has affected humans in the past. For some hypotheses about this mystery, see this reporting by Time. The effect varies based on latitude, humidity, and other factors, but this research is a good place to start reading. “The total population at risk in 2050 is projected to be about 5.2 billion if only climate impacts are considered,” the World Bank says in Turn Down the Heat. To be clear, “reckoning” does not mean that 5.2 billion people will be infected with malaria, but that that many people will live in conditions where they could potentially be infected. The science on this subject is young, but here are two studies. There is also a good summary of the research and its limitations in Joseph Romm’s Climate Change, pages 112–118. “An increase in pollution particles in the air of 10 micrograms per cubic meter cuts victims’ life expectancy by 9-11 years,” one recent study showed. That study is from 2014, and can be found here. From Joseph Romm, summarizing a report from the U.K.’s Met Office Hadley Centre. This study was published only last month; it considers a number of factors, including exposure to ozone, that in combination increase a child’s risk of autism. The cause is as yet unclear, but Los Angeles’s West Hollywood neighborhood has had about three times as many autism diagnoses as would be expected. “More than 10,000 people are dying each day from the small particles coming out from fossil-fuel burning,” James Hansen told me, “which is more than have been killed in history from the radiation from nuclear-power plants. It’s an irrational fear of low-level radiation. You have to avoid high levels of radiation, but we know ways to do nuclear which are much safer — that will not explode, that won’t produce a meltdown.” This data is a decade old, and would likely be even higher now. See here. For further reading, see this Forest Service material about the longer fire season. The fires continued into 1998, but the carbon quantification is limited to the previous year; that suggests the estimate is likely too low. Obviously, droughts of this scale should no longer, technically, be considered “hundred-year” events. Not that we’re really at risk of running out of oxygen, even with a significantly diminished Amazon. “Today, Shanghai air really has a layered taste,” chef Alan Yu said in 2013. “At first, it tastes slightly astringent with some smokiness. Upon full contact with your palate, the aftertaste has some earthy bitterness, and upon careful distinguishing you can even feel some dust-like particulate matter.” This difficulty was widely reported, but recently China has taken action to reduce its dependence on coal-generated electricity, which will likely help the smog buildup. For more information on the Air Quality Index and what it measures, see here and here. Some of these measures vary a bit. In many cases, the smog exacerbated other medical conditions. “There’s a lot of qualitative narrative evidence linking climate to the Syrian civil conflict,” Marshall Burke of Stanford’s Earth System Science Center told me. “I think some of that’s compelling. But it’s hard to make a quantitative case for any particular conflict that climate was the cause, right? We don’t observe the Syrian civil war in the absence of the drought that happened in 2007, so we don’t have a good experiment.” Michael Mann, director of Pennsylvania State University’s Earth System Science Center, told me this: “The Syrian uprising was driven by another drought that was the worst drought on record — the paleo record suggests the worst in 900 years. Drought is a big one, it’s behind a lot of the conflict that we see.” Of course there are many negative shocks short of civil war. “In 2012,” Peter Brannen writes in Ends of the World, “when the monsoon failed in India (as it’s expected to do in a warmer world), 670 million people — that is, 10 percent of the global population — lost access to power when the grid was crippled by unusually high demand from farmers struggling to irrigate their fields, while the high temperatures sent many Indians seeking kilowatt-chugging air conditioning.” “A lot of folks have looked at these relationships, and they’ve been sort of hypothesized for a long time,” Burke told me. “You can find it as far back as Shakespeare and probably even earlier than that — mentions of linkages between climate and human violence. So there’s this nice part in Romeo and Juliet where the good guys are out in the streets — it’s like Benvolio and Mercutio or something — and they’re talking and one of them says to the other, ‘We should go inside. It’s hot out. We’re gonna get pissed off and things are gonna go badly.’ And then all hell breaks loose. That’s how I start every talk on conflict now. ‘This is the Shakespeare reference.’” He continued: “It’s sort of remarkable how clear and replicable the results have been, when you look over the last 20 or 30 years, periods over which we have sort of better conflict data around the world and can do a good job of sort of understanding statistically what the linkages have been. We can look at different types of conflict, and, depending on where you are, there are certain types of conflict and there aren’t certain types of conflict. The iconic civil-war picture people have in their mind, those unfortunately still occur and tend to occur mostly in places like sub-Saharan Africa. So that’s where a lot of the research there is focused. Of course in the U.S., we don’t have civil wars, or at least not for the last 150 years. But we have other types of human violence, and those are pretty well measured in data and we can study those. And across all these different types of violence, again, we see this strong positive relationship between warmer-than-average temperatures and increasing conflict.” “When you increase temperature by half a degree, on average you see something like a 10 to 20 percent increase in the risk of conflict,” Burke told me. “Now, that, of course, does not mean that every conflict has something to do with the climate system. We’re not claiming that every conflict has a climate root. But on average climate has worked, as the CIA says, as a threat multiplier for conflict around the world. This just shows up so strongly in the data that we just can’t ignore it, right? We can’t turn away from this historical fact in the data. Do we fully understand that fact? I don’t think so. There are a lot of different potential mechanisms that could link climate to conflict. But it is in the data. So now I think it’s our job as researchers to better understand what are the exact mechanisms that link these two things. And there are a lot of folks working on that. Our team’s working on it. Other folks are. And we have some ideas. But I wouldn’t say there’s a smoking gun in terms of perfectly understanding the linkage. But to ignore the linkage in the data, to me, would be insane. It’s so strongly there, and comes through in so many settings, that it’s just a statistical fact.” To read more of Burke and Hsiang’s work on the relationship between climate and conflict, I recommend these two papers. In 2015, the Department of Defense released this major report on the impacts of climate change on national security. “The Middle East, where we’ve also seen a lot of this conflict — I don’t think we can rule out potential effects there, either now or in the future,” Burke told me. “Hot temperatures reduce agricultural productivity, lower crop yields, and, at the margin for farmers who are close to subsistence, this could alter their incentives to start or join a conflict,” Burke told me. “They need resources. They need to put food on the table. And joining a conflict is one way to do that, as I think a long literature has shown. And, again, it’s not like hot temperature is needed to turn everyone into a civil-war insurgent. These civil wars are often started with very small numbers of people. So you only need to affect the decisions of literally handfuls of individuals to get some of these conflicts.” See here. “People are more pissed off on Twitter when it’s hot,” Burke told me. “They use frowny face emoticons more often. People commit aggravated assault and homicide more often when it’s hot in the U.S. This has been show pretty clearly. We have new work showing that people commit violence on themselves more often when it’s hot. So you see rates of suicide go up when temperatures are hot. All sorts of human violence — from an individual scale all the way up to a group-level scale — show an increase when you crank up the temperature. The agricultural stuff I think is a plausible explanation for group-scale violence. It is a less plausible explanation for the individual-level stuff.” The study on baseball retaliation can be found here, and further interesting research between heat and crime here. 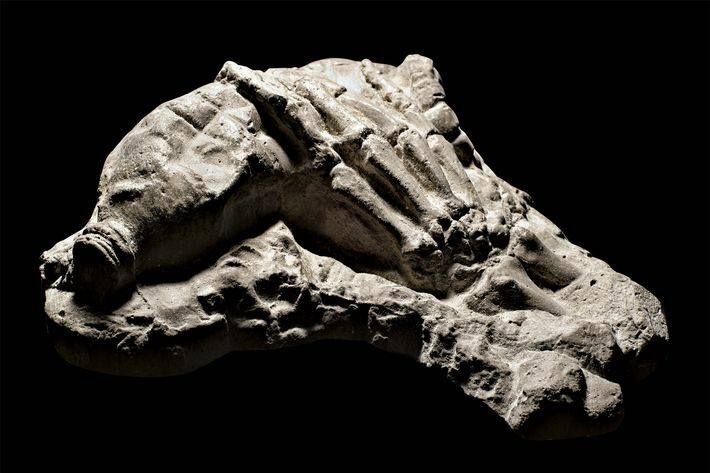 Andreas Malm’s Fossil Capital is the touchstone. They’ve also put together a helpful website exploring and illustrating their findings. “You see huge responses in GDP to fluctuations in temperature,” Burke told me. “So in hot countries if you crank up the temperature one degree Celsius you lose about one percentage point GDP growth in that year. Instead of growing at 2 percent a year you’re growing at 1 percent a year. So there’s a huge effect.” The precise 1.2 percentage point estimate for GDP loss is for the United States. “It turns out, historically the optimum temperature for producing things is about 13 degrees Celsius,” Burke told me. “That’s what we see in the historical data. And a couple of the largest economies in the world, coincidentally or not, are right at 13 degrees Celsius. So the annual average temperature in the U.S. is right above. It’s 13-point-something, 13.4 degrees Celsius, which is sort of funny to think about. I live out here in the Bay Area and the annual average temperature in Palo Alto, California, is 13 degrees Celsius. Silicon Valley is at the optimum temperature for producing things as measured historically.” That paper is found here. You can explore this material more here. The science of this is fascinating. A crude summary: Hotter air is less dense, which means less lift for planes trying to take off. (Also interestingly, some models are more effective at higher temperatures than others.) Which does suggest the wisdom of a carbon tax. “People are expecting, depending on what we do, maybe two or three feet in the next hundred years,” Richard Alley told me. “But there’s some chance of 15. If you put that in, that’s one that’s clearly concerning. The worst case you can think of is, you build the levees, you tell people it’s safe, West Antarctic collapses, and the levees fail. There’s a bit of worry about the predictability. If it goes fast — and fast would be decades or less, rather than centuries or more — it will probably involve a lot of breakage, a lot of icebergs breaking off. Fracture mechanics is pretty well understood, but the predictability of it … Just think of all the times in your life that you’ve seen somebody drop a ceramic coffee cup on the floor. Do we understand fracture? Sure. Can you accurately predict what one coffee cup will do when you drop it on the floor? Maybe not.” Ten feet is the upper estimate. See this paper from Gordon McGranahan, Deborah Balk, and Bridget Anderson. When looking just at extremely large cities — those with populations above 5 million — nearly two-thirds are on the coast. “As the sea level rises, it’s like a diving board for storm surge,” Peter Ward told me. “You’re causing storm surge to jump ever farther inland.” See, again, the paper from McGranahan, Balk, and Anderson. Estimates vary from about a quarter to about half; this paper suggests 40 percent of all carbon since the beginning of the industrial era has gone into the ocean. Lee Kump’s estimate is higher: “Half of the fossil fuels we’ve burned have gone into the ocean, which has mitigated the warming,” he told me. Then added: “What are the limits to the Earth’s ability to do that? See here. In fairness, coral bleaching is not quite a true euphemism for coral dying; when corals are stressed, they expel algae, which turns them white. The corals can recover but often do not. Although some scientists believe there is hope for the reefs. If you think about the plankton floating around the ocean, they’re at the base of the food chain,” Lee Kump told me. “There’s a cascade of effects up the food chain that can have impacts on food supply for humans especially — that’s associated with coastal fisheries, that sort of thing.” See here. This is obviously a very loose analogy, but it’s based on material from the Smithsonian. It’s also not an uncommon one; Lee Kump, too, resorted to the analogy of the human body when explaining to me the principle of ocean homeostasis, and what its disruption might mean. “An underlying theoretical framework for that arises from human homeostatic mechanisms,” he said. “We have homeostatic mechanisms for stabilizing body temperature and all different parts of our physiology.” “The other thing we should be watching very closely,” Lee Kump told me, “is the expansion of low-oxygen waters — the so-called dead zones in the coastal ocean, where the drop of oxygen is the combined effect of the warming, because the water can just take up less oxygen.” Research on climate change and dead zones can be found here, and is synthesized here. That paper notes: “Given the variety and strength of the mechanisms by which climate change exacerbates hypoxia” — that’s lack of oxygen — “and the rates at which climate is changing, we posit that climate change variables are contributing to the dead zone epidemic.” Read NASA on hydrogen sulfide and the Skeleton Coast. See this summary of findings by Lee Kump. In general, I’d say Ghosh is more or less accurate in describing the state of the “climate novel,” though there has been a recent rise in disaster fiction. But he is less on point when talking more generally about our narrative culture; our movies and television, for instance, have been littered lately with apocalypse scenarios, not all climate-related but which can probably be understood as in some ways inflected by climate anxiety. Perhaps a more interesting question is not why we have failed to imagine these scenarios, but why we have quarantined them, culturally, as something like parables, rather than stories that impress on us the real-world urgency of climate change. “In particular, the trail of destruction from tornadoes may be getting longer and wider,” Joseph Romm writes in Climate Change, summarizing the work of James Elsner. The reaction of tornadoes to climate change is not fully understood, but Michael Tippett of Columbia explains that a warming climate will make the circumstances necessary for tornado formation much more common. In Climate Change, Romm quotes Tom Karl, director of NOAA’s National Climatic Data Center saying “What we can say with confidence is that heavy and extreme precipitation events often associated with thunderstorms and convection are increasing and have been linked to human-induced changes in atmospheric composition.” Tippett has published dozens of papers on this subject. Also, see this paper by John T. Allen in Nature on the potential of hail increasing in size and frequency due to climate change. The graph of emissions over time is very vivid. My full interview with Broecker is here. Among the scientists I interviewed for this story, David Battisti was among the most outspoken about the risks of geoengineering of this kind. “It’s really stupid as an insurance policy — to think it’s anything but a Hail Mary pass,” he said. “This is so obvious to us. I’ve worked on it in the past — you don’t have to do very much to show that it’s dangerous. I’d rather see the world go to four degrees warmer than do geoengineering.” Scientists at Harvard have recently launched a new research effort into aerosol injection. Including for protesting the Keystone XL pipeline. Go here for more information on the case; it could be hugely significant. The word “alone” has been added to to make clear that James Hansen still supports a carbon-tax-based approach to emissions, even though he no longer believes it will be sufficient. In their paper “Anthropic Shadow,” Nick Bostrom and his colleagues explored our difficulty understanding truly existential risks. Because, by definition, human life has evolved to where it is today in the absence of a species-extinguishing event, we present-day human historians are endowed with enormous, accidental overconfidence in our capacity to endure, they suggest. This is another corollary of the anthropic principle: We take the human experience as our only model of evolution, discounting entirely the infinite number of evolutionary branches cut dead at the nub elsewhere in the universe. “As a consequence,” Bostrom and his colleagues write, “we should have no confidence in historically based probability estimates for events that would certainly extinguish humanity.” My full interview with Ward ends with his saying, “Go get ’em, man. We need people out there like you. I mean it. Though you’re not going to get thanked for it, you know.” This road map was laid out in Science and neatly summarized in Vox. The Montreal Protocol, which was finalized in 1987, regulated the use of ozone-depleting substances such as CFCs. Its effects in shrinking the ozone hole began to be measurable in 2000.